In 1980, up to $1.5 million worth of silver flowed from Providence factories into the Narragansett Bay, giving new meaning to the phrase “a waste of money.” Much of this silver originated from the electroplating firms located in the Huntington Expressway Industrial Park on the north shore of Mashapaug Pond. Discovered in the 1800s, electroplating revolutionized jewelry production by using electricity to apply thin layers of gold or silver to items cast from other, cheaper metals. By 1880, Rhode Island was home to more jewelry businesses than any other state. Providence became known as the costume jewelry capital of the world, its downtown called the jewelry district. A century later, however, the center of the jewelry industry had relocated three miles to the southeast, to the Huntington Expressway Industrial Park next to Mashapaug Pond. 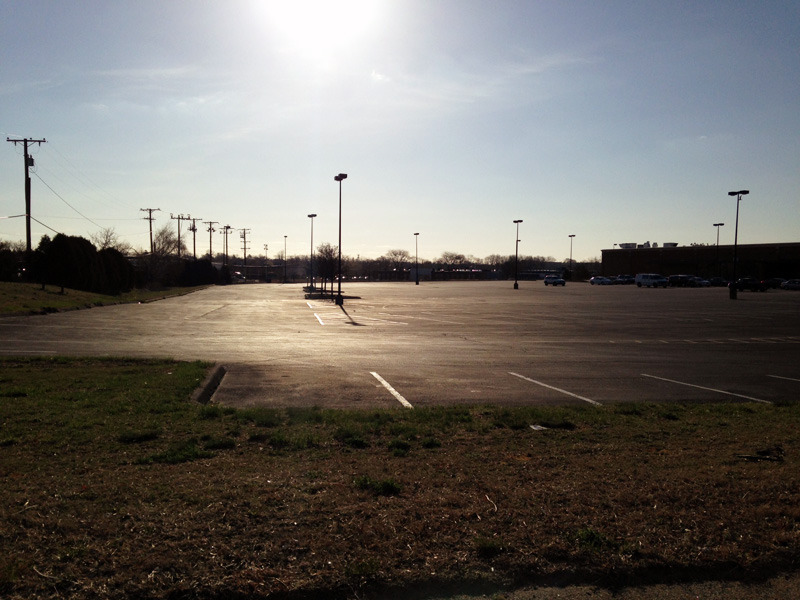 Looking at its current arrangement of warehouses and parking lots, it may be hard to imagine the industrial park as a space that almost 500 families called home. Children played games in the road, buzzed around on homemade scooters, and snuck peaches and plums from their neighbors’ trees. Former resident Ed Hooks recalls the paper route that took him through a grid of streets, some paved and some not, whose names are now only found on historical maps. As a child, Ed swam in Mashapaug Pond, played with frogs, and caught crawfish in the brook that flowed toward Niantic Avenue. Some neighbors, he remembers, preferred the brook’s snapping turtles, and used them for soup. When the Providence Redevelopment Authority bought this 117-acre parcel in 1961, it displaced those residents and adapted the land for commercial use. New sewer lines and broader, flatter roadways made the space an attractive location for factories involved in electrotyping and electroplating – casting and coating objects in metal. These operations involved dangerous ammonias, cyanides, and toxic heavy metals that flowed, like the silver, into Providence’s waterways. Today, the quiet expanse of the Huntington Expressway Industrial Park betrays its current economic and environmental challenges. In 2010, the complex had only 33 tenants. However unremarkable it may appear, though, the industrial park continues to have an important impact on the local environment. Its wide paved roads, flat-roofed buildings, and sparse vegetation create a “heat island” with higher daytime air temperatures than other areas of Providence. The absence of trees also contributes to stormwater runoff. As rainwater hits asphalt surfaces, it mixes with road salt, animal waste, fertilizers, car fluids, and other pollutants. Without pervious surfaces or plants to filter this toxic water, it flows unobstructed until it reaches a storm drain or larger body of water. 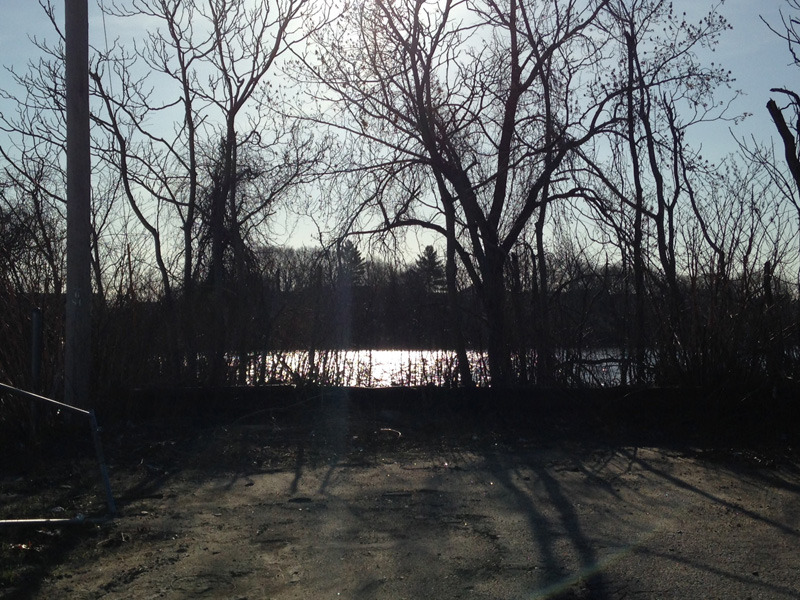 This pollutes the park’s immediate neighbor, Mashapaug Pond, and the broader watershed, which includes the ponds in Roger Williams Park and Narragansett Bay. The cost of cleaning these toxic chemicals from the watershed greatly exceeds $1.5 million in silver. Happily, several organizations are actively working to reduce the amount of pollutants flowing through Mashapaug Pond’s watershed by educating citizens and commercial tenants about stormwater runoff, repaving hard surfaces with crushed stone or permeable concrete, planting trees and other native plants, and redirecting water into rain barrels and rain gardens. Several of these initiatives are planned for the Huntington Expressway Industrial Park. Besides financial losses, what different “costs” have there been to doing business in the Huntington Expressway Industrial Park? 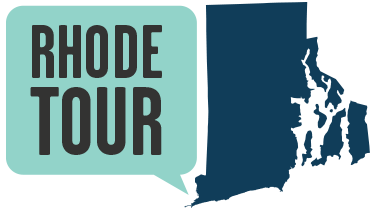 What steps could be taken to inform the businesses currently located in the industrial park about their impact on Rhode Island’s waterways? Where are places that jewelry is manufactured today? 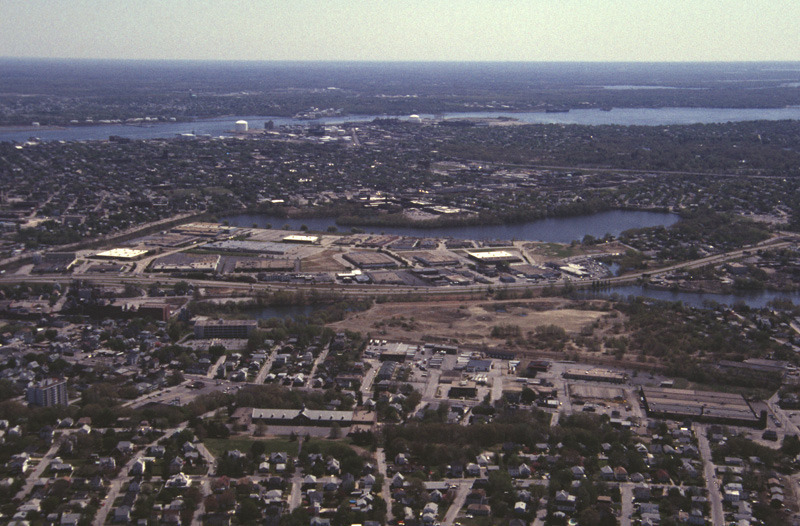 Aerial View of the Industrial Park: Chester Smolski was an expert in urban geography, urban history, and city planning who taught at Rhode Island College for over 40 years. The library at RIC has almost 6,000 of Professor Smolski’s slides in their special collections, including this aerial image of the industrial park, dated May 1985. Wendy Korwin, “Industrial Legacies: Environment and Economics,” Rhode Tour, accessed April 21, 2019, http://rhodetour.org/items/show/20. The Jewelry District Association. “An Overview of the History of the Jewelry District.” http://www.jewelrydistrict.org/history-of-the-district.html. Lerner, Steve. Eco-Pioneers: Practical Visionaries Solving Today's Environmental Problems. Cambridge, MA: The M.I.T Press, 1998. Mashapaug Pond and Reservoir Triangle Collection. Brown Digital Repository. Brown University Library. http://repository.library.brown.edu/. Sabar, Ariel. 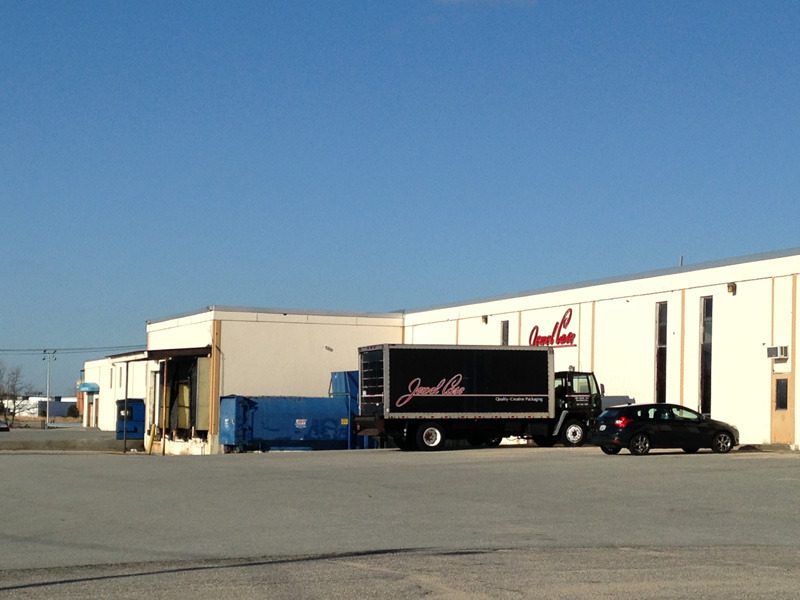 “Jewelry Company Fined for Failing to Report Chemical Use.” Providence Journal. March 12, 1999.